Denuclearization means reducing the nuclear weapons threat that a country poses. This is what the United States and the Soviet Union/Russia did mutually in the SALT and START agreements: they reduced the number of nuclear weapons and related delivery vehicles. The United States should also require a reduction in the North Korean nuclear weapon destructive potential, which includes the explosive power of its weapons. According to this definition, North Korea has not denuclearized at all and, in fact, has been nuclearizing. Despite North Korean leader Kim Jong-un's messages of “peace” and his charm offensive in 2018, he continued building nuclear weapons and ballistic missiles, according to multiple reports. According to our estimates derived from available and open information, North Korea in all likelihood increased its nuclear weapon destructive potential in 2018—evidence that North Korea has been carrying out a cold war against the United States and South Korea. 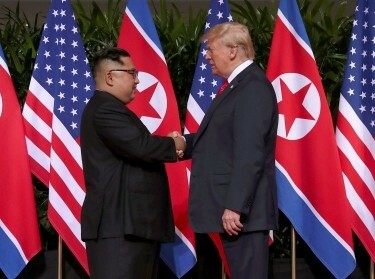 As a result, Kim lost the trust of many U.S. and South Korean experts and people, and many experts observed that Trump accomplished no concrete denuclearization with the first summit. 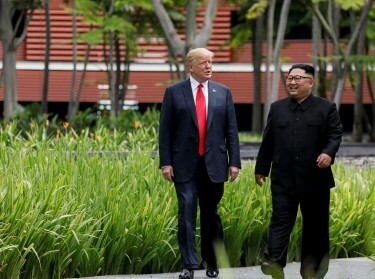 Kim appears still to be following his father's lead by refusing to reduce his nuclear weapons until the United States adequately sweetens the deal. This makes it hard to predict the outcome of the second summit. Ideally, President Trump would insist it is time for Kim to begin to truly denuclearize, and Kim would agree with Trump. If so, a first step would be a nuclear weapon production freeze, with North Korea identifying its ten or so critical nuclear production facilities, stopping production at them, and allowing inspections and the installation of monitoring devices to confirm production has ceased. 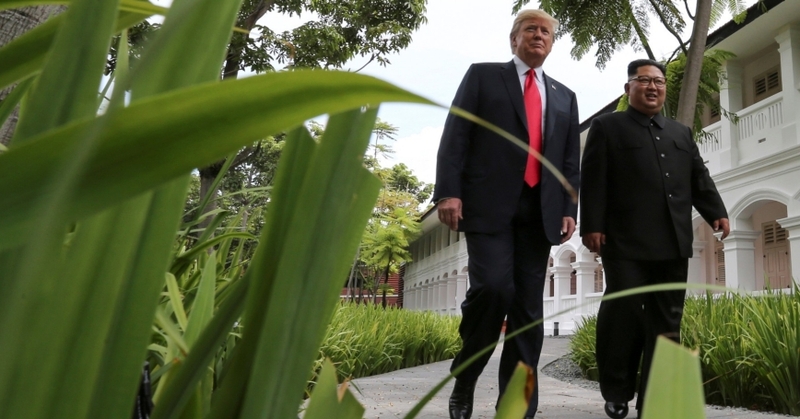 America should offer “corresponding measures” consistent with Article 1 of the Singapore Agreement that North Korea has emphasized and which calls for establishing “new U.S.-DPRK relations.” These measures might include setting up liaison offices in each other's capitals and inviting North Korean visitors to the United States to see firsthand that America is not an enemy. A peace declaration needs to await the end of the North's Cold War. A second step would involve North Korea surrendering some nuclear weapons for disassembly. Last September Kim offered to fully denuclearize during Trump's first term, so he needs to get started. This would be true denuclearization, against which America could offer some sanctions relief and other benefits. 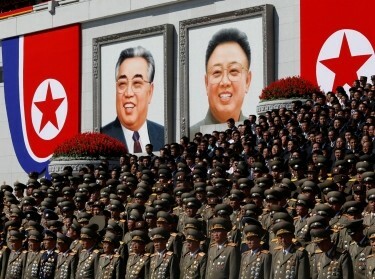 But if Kim decides to keep stalling, serious tensions could follow. This commentary originally appeared on The National Interest on February 6, 2019. Commentary gives RAND researchers a platform to convey insights based on their professional expertise and often on their peer-reviewed research and analysis.